you for making a difference. up at the office. October is Respect Life Month and St.
families in need by sparing your extra change. Join the Pro-Life Office for their annual gathering. Learn about new initiatives and how parishes can participate in sharing the Gospel of Life. Parishes can pick up Respect Life Program materials and Baby Banks. 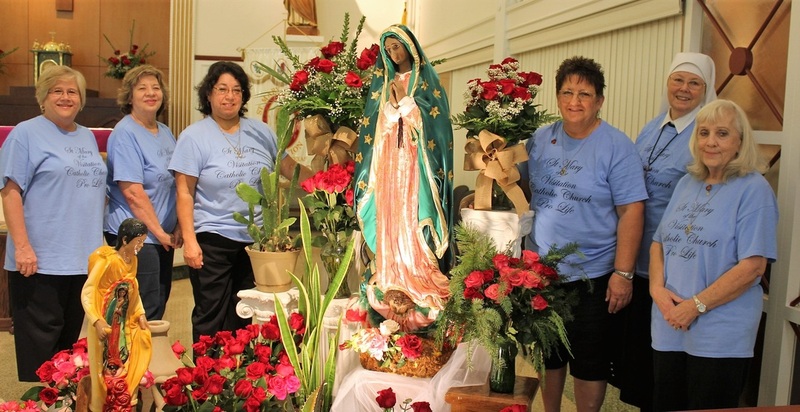 Each parish is asked to register the names of those attending by Aug. 4 to Luisa De Poo. purchased the items or forgot to bring them this weekend-you may still bring them to the parish office this week until Wed. Dec. 21st. ​​The Rosary for Our Country novena will take place on the first Monday of each month. We will begin on March 7th at 7pm, and end November 7th, the day before elections. Please plan on joining this special novena for the U.S.A. The winner of the beautiful Divine Mercy cake, made by H.E.B. & donated anonymously, was--Katalina Cabrera! Pictured with her family. Congrats Katalina!